So how much did the Seahawks save in going from Steven Hauschka to Blair Walsh? The details of the contract Seattle handed to Blair Walsh make clear how much money the Seahawks could save at the place kicker position compared to a year ago. 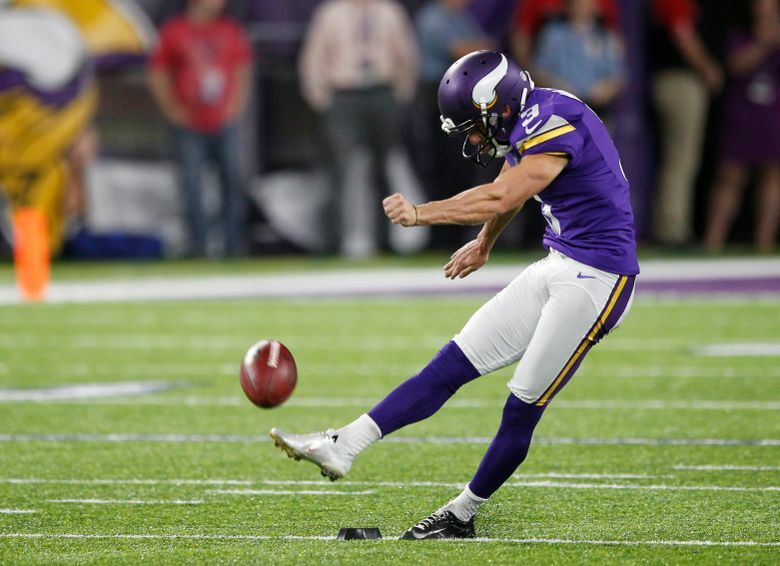 When the Seahawks signed kicker Blair Walsh last week as the apparent replacement for pending free agent Steven Hauschka, it was a given that one reason for making the switch was to save some money. Now that the details of Walsh’s contract have become available it is apparent how much of a difference there is between what the Seahawks could pay Walsh and what they paid Hauschka last season. ESPN’s Sheil Kapadia reports that Walsh’s deal is for one year, worth a total of $1.1 million and with no guaranteed money. There’s a base of $800,000 with the ability for Walsh to earn another $300,000 in bonuses dependent on making the team and then staying on the 53-man roster throughout the season. By contrast, Hauschka last year had a base salary of $2.7 million with a salary cap hit of $3.525 million. So, the Seahawks could be saving at least $2.4 million or so against the cap in going from Hauschka to Walsh, assuming Walsh ends up as the kicker. Hauschka will become an unrestricted free agent on March 9 and the door on him returning likely isn’t completely closed in theory, though probably is in practice. With Walsh in the fold for a lot less, Hauschka would get nowhere near what he did last season to return, meaning he’s likely headed elsewhere. The Seahawks are expected to bring in another kicker to compete with Walsh, likely a rookie, and probably an undrafted free agent, or possibly another relatively inexpensive free agent. And that the Seahawks gave no guaranteed money to Walsh on just a one-year deal should make the Seahawks attractive to other prospective free agents, who would view the job as wide open. As for Hauschka, there’s going to be a lot of money for teams to throw around on free agents with OvertheCap.com noting today that there is a combined $1.1 billion in open cap space for the 32 teams heading into the free agent signing period.